In the first part of Beyond E-bikes we looked at trends in the booming world of electric kickscooters as well as what happens when you add more speed or more powerful motors to conventional e-bikes. Butchers & Bicycles MK1 tilting electric trike. More and more electric trikes have been hitting the market and I think it is time to highlight some of these new light electric vehicles. 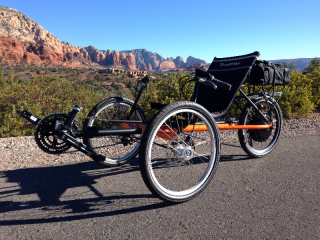 This guide will focus on upright electric trikes. 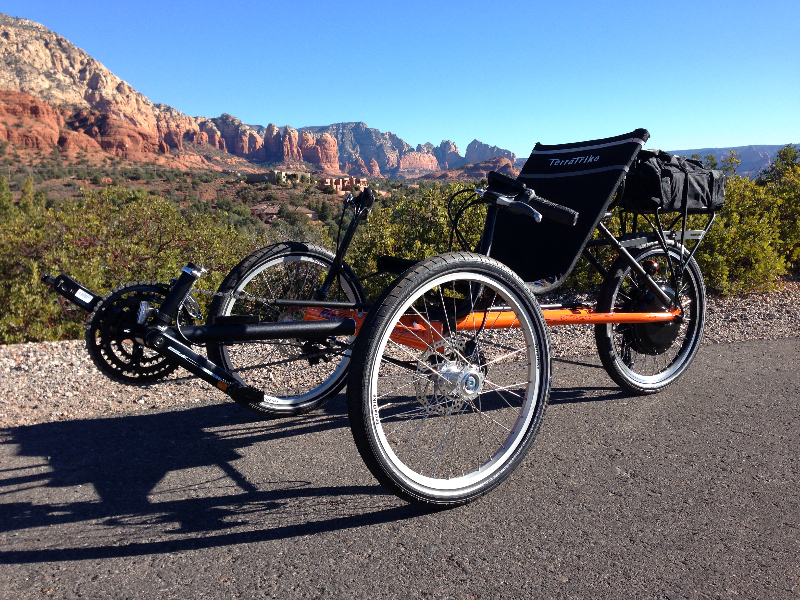 Here is a guide to recumbent electric trikes and there are some heavy duty cargo trikes in this guide. 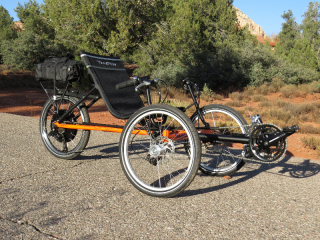 Recently I became interested in electric recumbent trikes because of the number of new e-trikes that have hit the market or will hit the market soon. Due to the fact that electric recumbent trikes are a growing niche in the light electric vehicle world, I put together a guide to electric recumbent trikes. 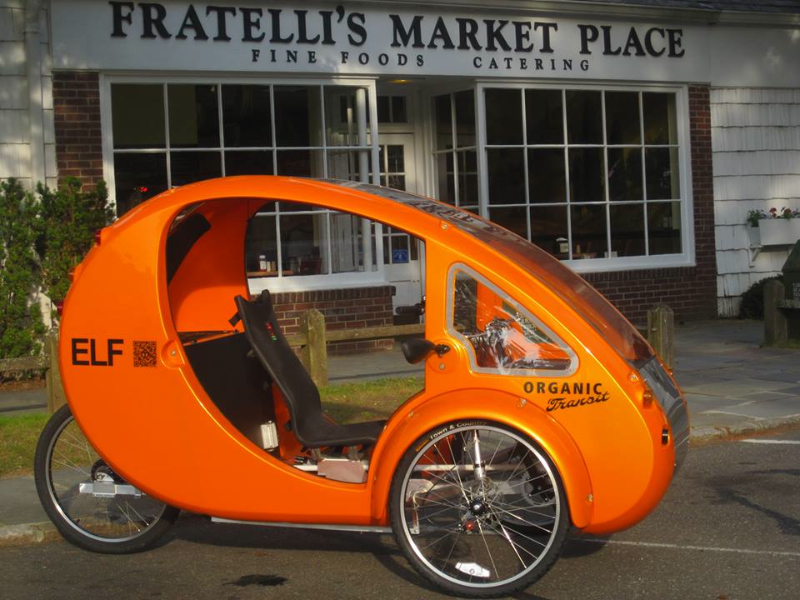 There are also the traditional upright electric trikes and these have proven to be utilitarian delivery vehicles. FedEx uses electric trikes in Paris and B-Line Sustainable Urban Delivery uses them in Portland, Oregon.